Unbelievably, it’s now less than one month until Christmas. Why does it always sneak up on us this way? This means that it’s high time to get our DIY advent calendar well and truly sorted. Last week I posted a round up of 24 Awesome DIY Advent Calendars which had some great ideas for inspiration, but this year we’re doing something a little bit different. I wanted to create an advent calendar for my girls which is quick, easy and fun but I didn’t want it to involve too many annoying ‘surprises’ for me to source, too much sugar or too many activities that I may not always have time to organise during busy Christmas-rush season. What I’ve come up with is an Advent art journal and some printable Christmas-themed drawing prompts. 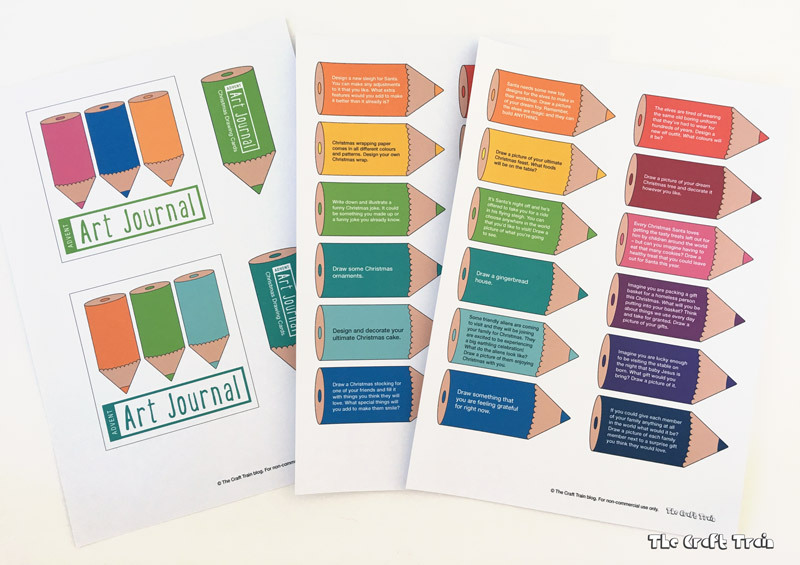 I’m not sure that I can actually call it a calendar because there are no numbers involved, but there are 24 printable pencil-shaped cards which are designed to give kids a creative direction for their art journal each day in December leading up to Christmas. 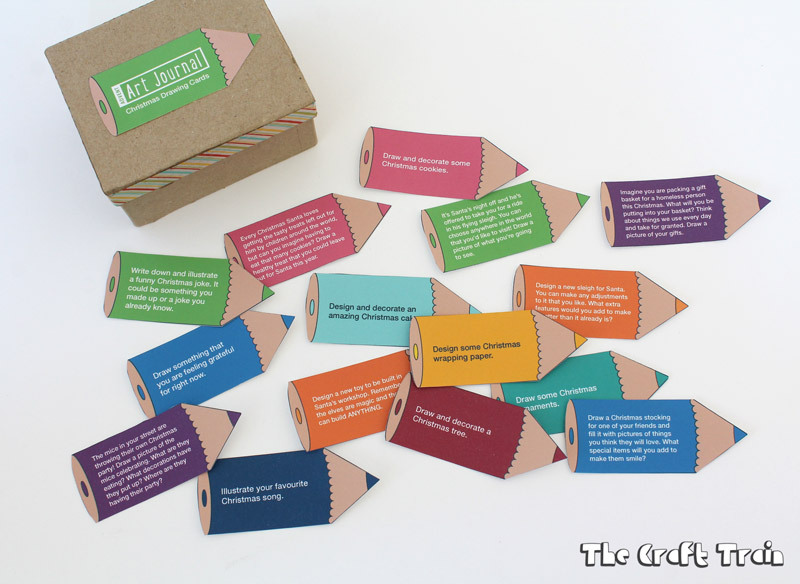 The drawing cards cover things like Christmas cookies (without having to bake them, but of course you can do that too! ), designing Christmas wrap, giving, decorating, imaginative thinking, thankfulness and more. I’ve placed all of the drawing cards in a small papier-mâché box which I happened to have lying around but a mason jar, a small basket or a plastic container would all work just as well. A box like the one I’ve used can be found inexpensively at any dollar store or craft supply shop. The printable template includes labels for the front of the sketch book and also the front of the box which will hold your cards. 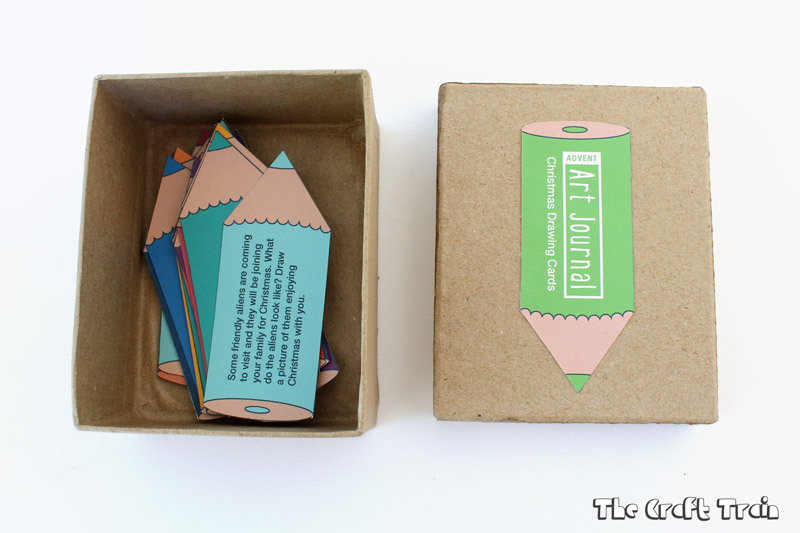 To make your advent art journal simply cut out the cards, place in a box and stick the pencil-shaped label onto the front of the box. 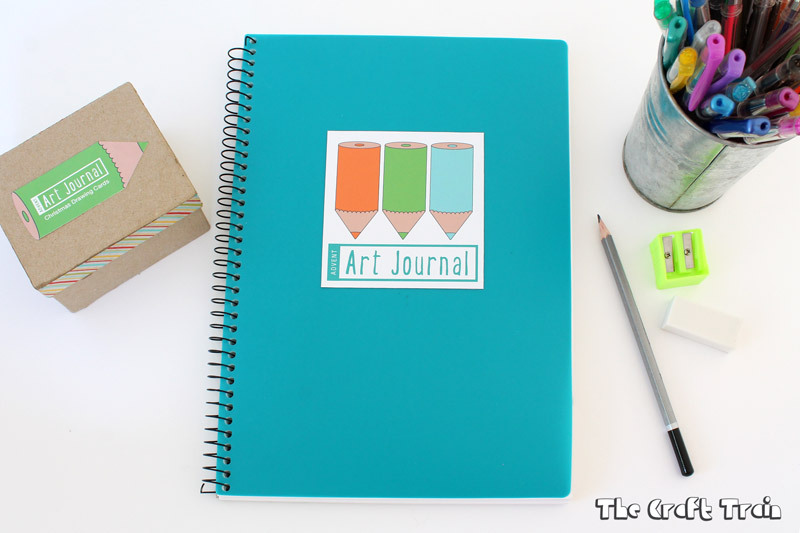 Cut out a square art journal label (there are two colour options to choose from) and stick onto the front of your sketch book and you’re ready to go. Seeing that Advent hasn’t officially started I’ve no drawings to show you and my girls are yet to be given their new art journals (If I’d given them before December 1st I’m sure they would be half-filled already!). 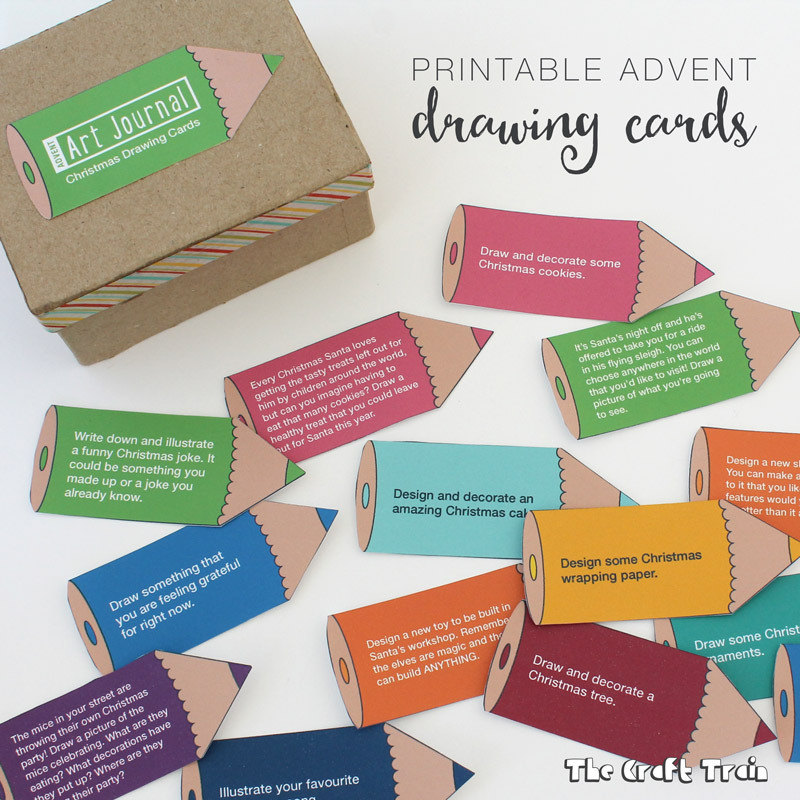 If you have an art-loving child at home this would be a fun way to celebrate advent with them and it couldn’t be easier to set up. I can’t wait to see what my girls draw in theirs. 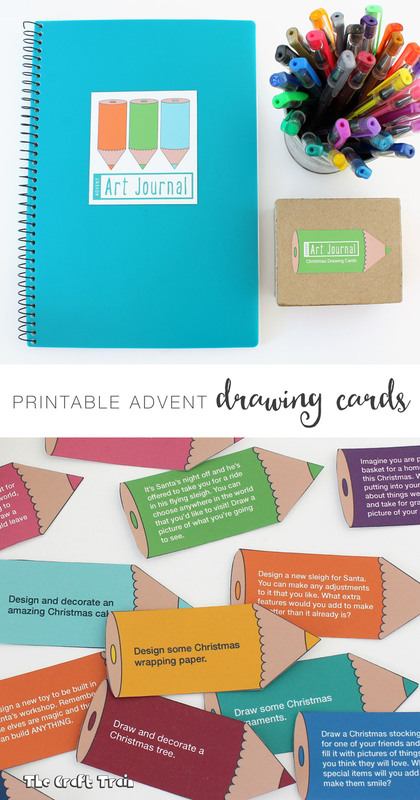 ohhh what a gorgeous advent count down, i love all the prompt ideas! !